#1 – I enjoy it… the same way I enjoy that first cup of coffee in the morning, french fries, and getting lost in a good book. It never gets old. #2 – Wardrobe management – I can only make clothes so fast, and that means that when I do have time to sew, I need to think critically about what I need and want in my closet. It prevents me from buying that unfortunate just-had-to-have-but-will-never-wear-top because it was %10 off. Oh, and it’s pretty amazing to make exactly the clothes you want, and have them actually fit your body. What’s not to love? #3 – Making things for the humans I love. Like this dopp kit for my brother. Or this Driftless Cardigan for my sister-in-law. This is one of the best reasons. If I could pour love into a tangible form, it would look like a handmade gift… (or a donut from the bakery in Park River, because seriously – they’re so good). All of the planning, time, and curse words (I promise I only use the nice curse words, Grandma) that go into that thing – imagining and hoping it will be right for them – man, that’s its own special joy. *The killer photos above were taken by my brother, Andrew – he’s pretty rad. 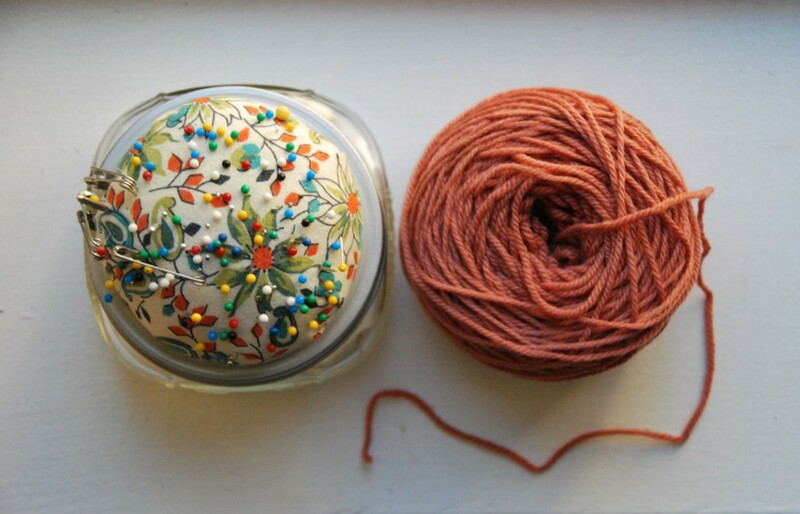 #3 – I can make something new instead of doing laundry. I despise laundry. #5 – So I know who made my clothes, dopp kit, curtains, recorder bags…. A few weeks ago, I was handing out new recorders to my 3rd graders. For $3 they each get their own to keep and take home. Teaching in a lower income school, I’ve always been mighty grateful for a price that my students (or my classroom budget) could afford. Each recorder comes in its own little blue cloth bag, wrapped in tissue paper, and includes a plastic “cleaning rod” that is used more for sword fights then actual cleaning. In the midst of handing out recorders to one of my classes, I heard a chorus of shocked yelps from one corner of the circle. “Ummm… A tooth just fell out of my recorder bag.” Obviously confused, I walked over to find a dry tooth lying on the rug. How? How was there a tooth in the recorder bag? Were they used, returned, and resold? An immediate e-mail was sent to the company, who assured me that all recorders came directly from the factory. Things weren’t adding up. I looked again, but more carefully, and felt pretty confident that the recorder was indeed new. There were no teeth marks or signs of use, and it clearly had the same factory wrapping as the rest of them. To confirm my suspicions I sent the above photos to a dear friend who is a dentist (FYI: That’s my pinky finger. Also, I have small hands). Could this tiny thing be an adult tooth? Lost due to horrid dental hygiene (also awful to think about) in the midst of work? Her response – definitely a front baby tooth that fell out the normal way. That particular tooth is typically lost at age 5 1/2 – 6 years old. Uff da. Now, please, if you have an alternative explanation let me know, (and deep down I hope it was some 4th grader from Tulsa or something – who happened to still have a baby tooth (at age 8/9) – storing their lost tooth in the bag of their brand new recorder (that they never used) for safe keeping before forgetting the tooth was there when their teacher decided to pay shipping to return that perfecly fine $3 recorder to the giant music company, which carefully refolded the tissue paper and resold it…far fetched as it may be.) This felt like pretty solid evidence that a child – a child young enough to still be losing teeth – had either been spending their day in a dangerous factory while their parents worked, or heaven forbid they had been the ones actually sewing the seams. Humans make our clothes, our backpacks, our curtains, our dishcloths. You can’t run a piece of fabric through an automated series of big machines and have it spit out a shirt like a candy bar. Where our clothes come from matters. Now, we won’t all make our own clothes or suddenly change all of our purchasing practices, but noticing where our products are made is a step in the right direction. If I can (and it isn’t always the case) I try to buy things made in America – I know I’m supporting American companies/workers who are working in (hopefully) decent conditions and receiving a (again, hopefully) fair living wage. Not only does buying American made help to cut down on the environmental impact of having my socks shipped from half way around the world, but I also know that our country has laws against children working in a factory instead of being in school. Small changes make a difference. So, post-tooth I’m going to try to shop locally made more often, take some time to research ethically made/environmentally sustainable brands, and hit the thrift/consignment shops (I’m horrible about this one – I own to being super freaked out by bedbugs) before buying new. When I do buy clothes I’ll try to shoot for things that will still be fashionable in three years, and of course – I’ll make my own. You guys. There was a tooth in that recorder bag. P.S. If you have Netflix, I’d recommend watching The True Cost, which is currently available for streaming. This blog post by Elizabeth Suzann gives some insight into the cost of making clothing here in the U.S. – I found it to be pretty eye opening.